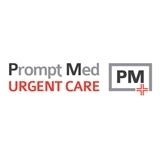 Prompt Med Urgent Care (Fort Lee) - Book Appointment Online! Prompt Med Urgent Care is committed to providing premier medical services to the Northern New Jersey area. We offer high quality, service-driven medical care, with minimal wait times. Our doctors are board-certified Emergency Medicine physicians espousing a strong commitment to the community, so you can expect the same high level of care that you would receive in an Emergency Room, without the long wait. We offer an extensive array of expert medical services for adults and children, which include, but are not limited to, onsite x-rays, stitches, splinting, abscess drainage, treatment of asthma, strep throat, flu and cold symptoms, IV fluids, worker’s compensation, commercial driver's exam and basic wellness care. We are OPEN EVERYDAY, including all holidays. Our hours of operation are Mon. – Fri., 8 am – 10 pm; Sat., Sun. and holidays, 9 am - 5 pm. We accept most major insurance plans. Very helpful, addressed the situation I had and made me feel comfortable.